Kiosk Manufacturers | Technik Mfg. 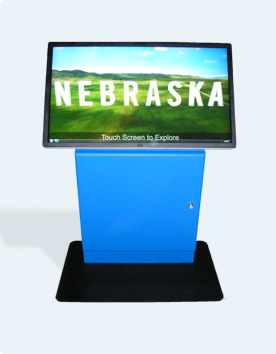 Our custom kiosk manufacturers are consistently engineering new ways to meet the diverse needs of businesses and organizations all over the world through unique custom kiosk design and function. Our vending machine company produces quality machines with longevity and high return on investment. Whether pull tab, sweepstakes, coupons, ticket, or gift card vending machines you can expect the best. We provide vending machine dispensing mechanisms for a variety of machines and needs. In fact, our dispensers have been installed in over 40,000 machines around the world. We will work with you to provide solutions to your vending needs as we have the experience you need to cut through the maze and get to end result quickly.